Over the past year, I built and co-founded a fitness app startup. I get a lot of questions from people regarding health, exercising, and how to get back into better shape. Can I afford a personal trainer? Having been immersed in the industry for quite a few years, I feel that I can provide a solid answer to anyone who asks me this question (based on their situation- financially, physically, and emotionally). This article will help you determine what the best route to take is in regards to working out and whether you should workout with a trainer (or not). Even if you don’t think you need a personal trainer, you’ll take a few parts away from reading this. 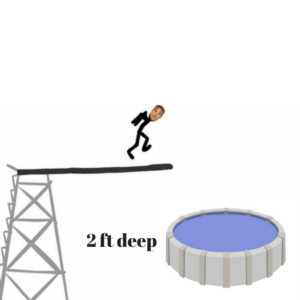 Let’s dive in to the post….. Along with the wellbeing of loved ones, our time, and our money, our HEALTH is placed highly up on the priority list of life. This is no surprise….if you’re not healthy, you can’t enjoy the fruits of your labor. Money- how much are you willing to spend? Current fitness level- how are you physically? Motivation- how are you emotionally? We’ll go through each. Let’s start with number 1. Over the past few decades, there’s no denying that money is the biggest factor in determining whether or not someone can afford to workout with a personal trainer (consistently). Working out 1-on-1 with a personal trainer in a gym setting is EXPENSIVE. The price will vary slightly depending on where you live and the trainers credentials, but the national average cost ranges from $50-100/hour. 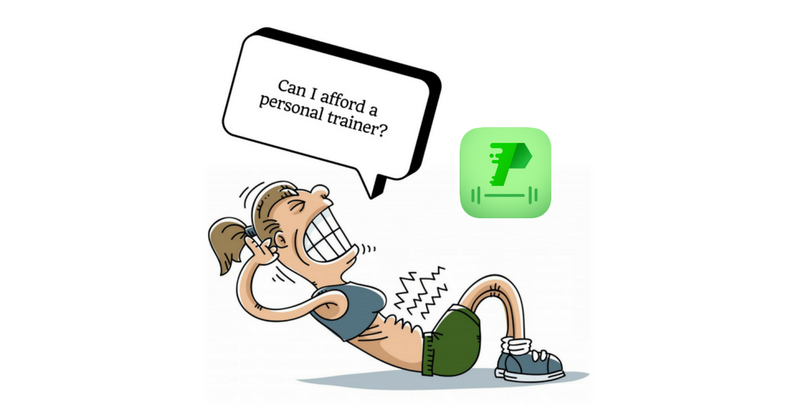 Why are personal trainers at gyms so expensive? 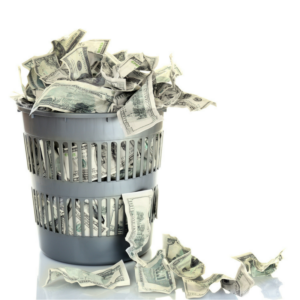 The reason that 1-on-1 sessions with personal trainers are so expensive is two-fold…. Reason #1: many personal trainers train their client base through a mainstream gym. For every dollar that you pay the trainer, a large % of this money goes to the gym (which provides the environment & sometimes the clients themselves). 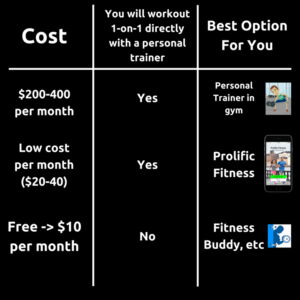 In order for both the gym and the trainer to profit, the cost needs to be set high enough. Reason #2: certified personal trainers highly value their time. Legitimate trainers hold degrees in higher education related to their field (Exercise Physiology, Kinesiology, Physical Education, etc). Additionally, many of them also continue attending seminars, conferences, & keep their certifications up to date. If you are able to afford to pay $50 or $75 an hour to workout with a trainer on a regular basis, that’s great. Working out with a trainer might be the best option for you. Even if you can afford this option, you might prefer to spend your hard earned money in other areas of your life (entertainment, leisure, family, and so on). 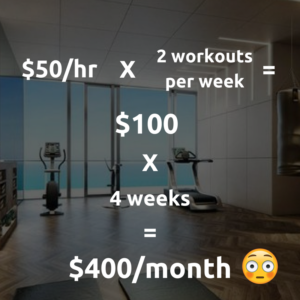 As you can see, the cost adds up quickly….these figures I’ve used above are conservative numbers too ($50/hr and only 2 workouts per week). With today’s technology though, there are plenty of great alternatives for you to use if you can’t afford (or simply don’t want) to pay that much. The below chart will inform you on the best option based on your financial situation. There are hundreds of general fitness apps out there. Some fitness apps out there are extremely basic…..a select few are extremely robust. With the more basic ones, they generally cost less per month (or they’re free). The problem with over 99% of these basic apps though is that there is no personal trainer working directly with you. With the more robust fitness apps, you’re able to workout 1-on-1 with a personal trainer in the same capacity as you would in a gym, but at a monthly cost that is quite affordable (since you’re communicating via an app). 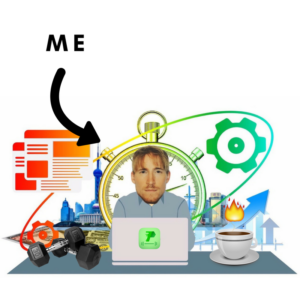 When we created Prolific Fitness, we wanted to make sure that each client we work with received the same experience in the app as they would get with us in the gym. Your current fitness level DOES NOT play a role at all in whether or not you can afford a personal trainer (that’s financial), but it DOES play an important role in choosing what form of training will best suit your needs (in person at the gym, with trainer via a mobile app, etc). Let’s look at 2 quick examples…..
Susy B is in her mid-40’s. Susy used to be in better shape, but has been quite inactive for the past 2-3 years. She plans to start going to the gym & working out at home again, but her main issue is that she doesn’t know what exercises to do when she starts. For Susy, downloading a basic fitness app that costs a few dollars a month won’t help her much. Reason being is that a basic app will generate “cookie cutter” workouts for her, without taking into account her exercise environment, current activity level, and past health/injury history (all of which are crucial pieces of information when writing out a proper fitness regimen). She needs direction from a trainer (what exercises to do next at the gym/home). Both of these options will give Susy the proper guidance she needs. James is in his early-30’s. James workouts 4-5 times per week and is quite active. He has moderate knowledge on exercise workouts and is usually confident with the routines he does each time he goes to the gym. He could possibly get by with a basic fitness app (or none at all), but the problem James will likely hit is that his workout routines will get stale/repetitive over time. 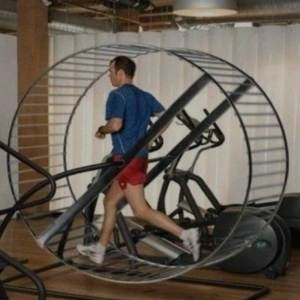 His body won’t adapt and will never reach its full potential (because he is always doing the same exercise order day after day, month after month). By us looking at this last factor, we can determine what type of trainer/app works best for you! If you are not self motivated at all, a basic/free fitness app is NOT for you. As we mentioned earlier on in this post, there’s no trainer associated with these type of apps, therefore, no one will provide you with the proper motivation and guidance to keep using the app. A gym trainer or Prolific Fitness works best for this type of person (you’re working directly with a trainer). This trainer, whether in person or via a mobile app in our case, is able to hold you accountable and can even give you friendly reminders if you start slacking. 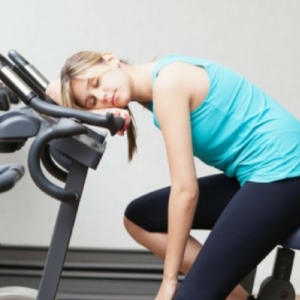 If you’re extremely motivated, but lack direction on knowing what exercise routines you should do each day/week, you’ll also benefit much more from an in person trainer or using the Prolific Fitness app than you would from working out on your own. By looking at your finances, your current fitness level, & your motivation…..you can better determine which option works best for you.